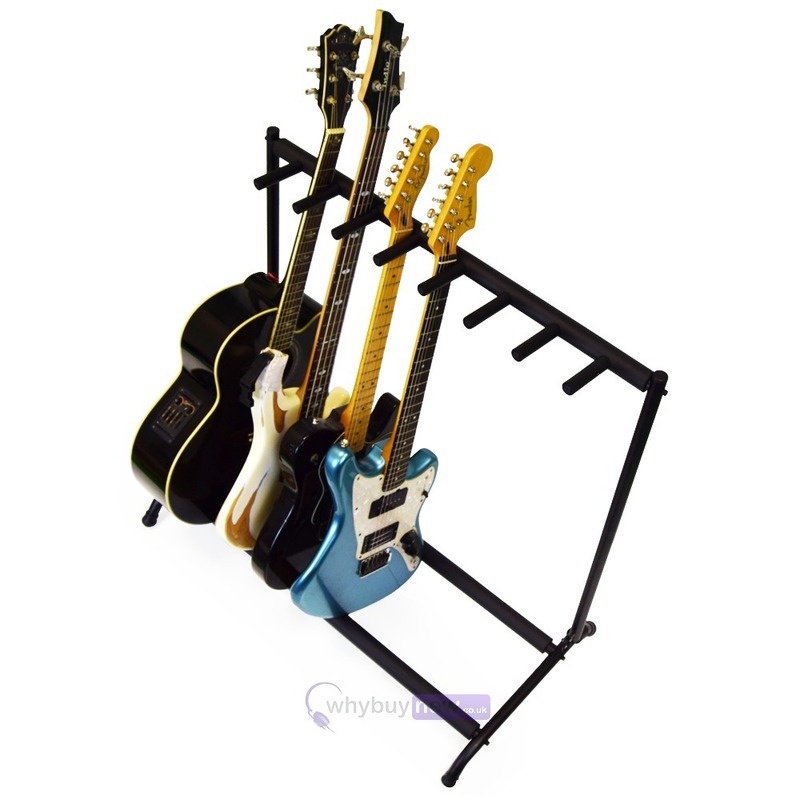 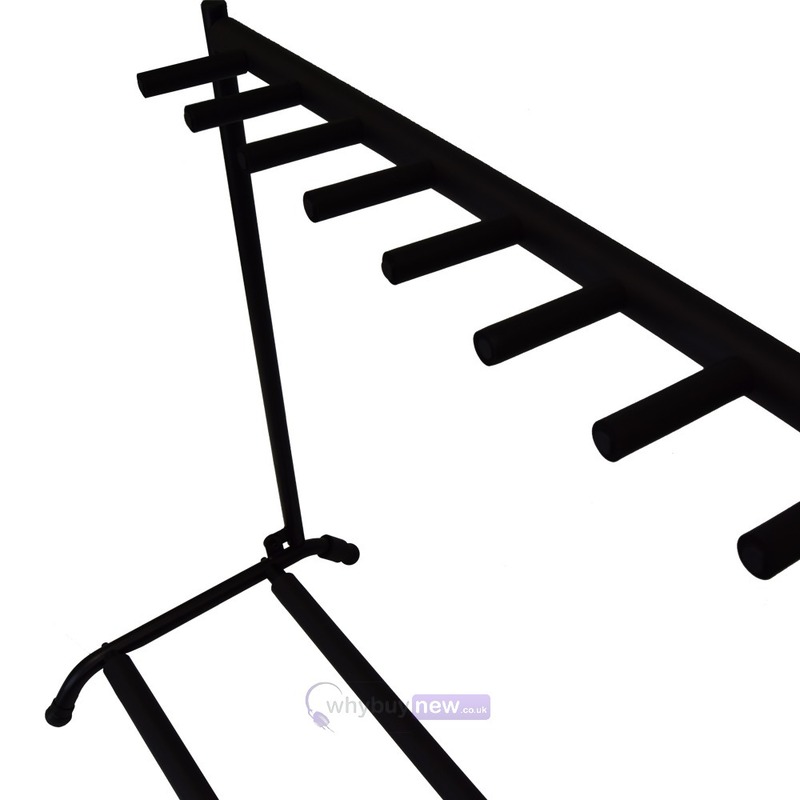 The Gorilla 7 Way Multi Guitar Stand (GGS-7) is the ultimate and only rack you'll ever need to store up to seven guitars vertically. 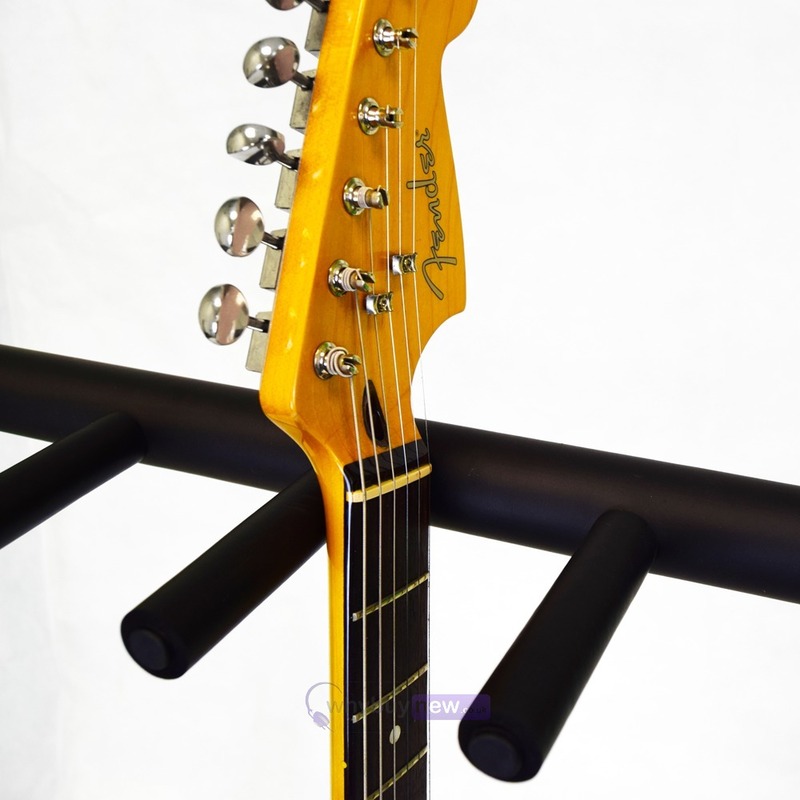 The Gorilla GGS-7 is universal to all types of guitars due its ample spacing within the rack area conveniently allowing you to store a combination of guitars at any one time from acoustic and electric through to basses. 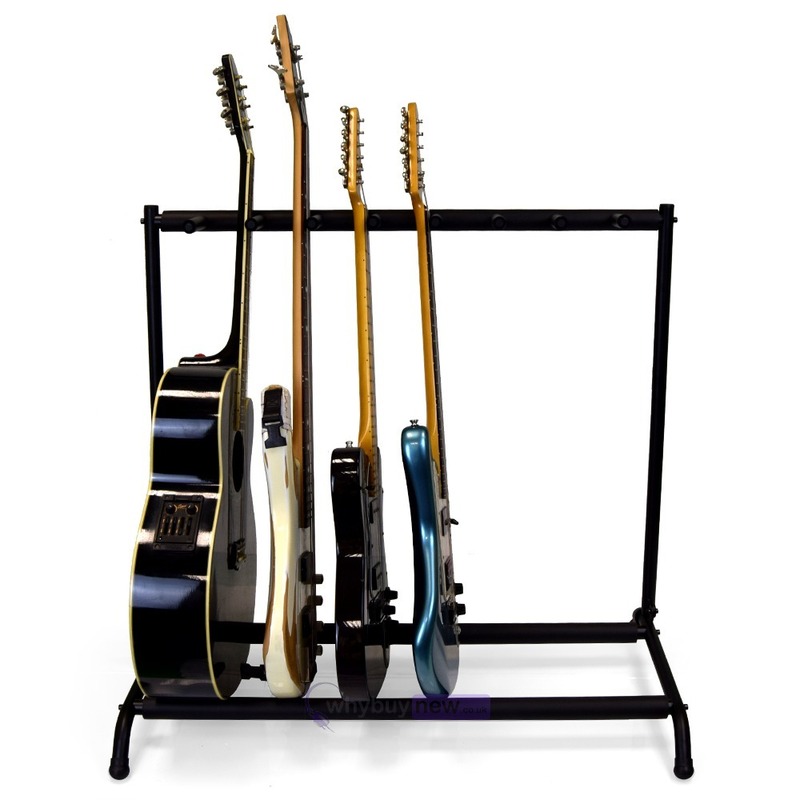 With its stylish and space saving design the GGS-7 is ideal for use at home, in the studio or even at gigs. 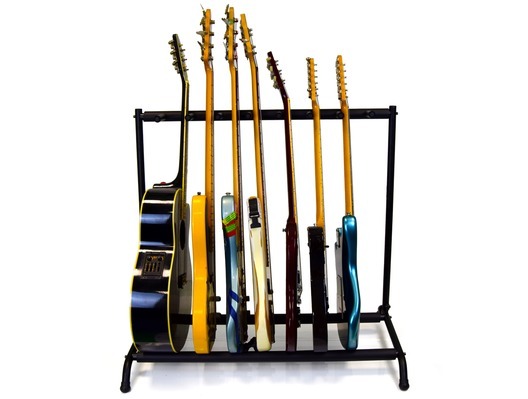 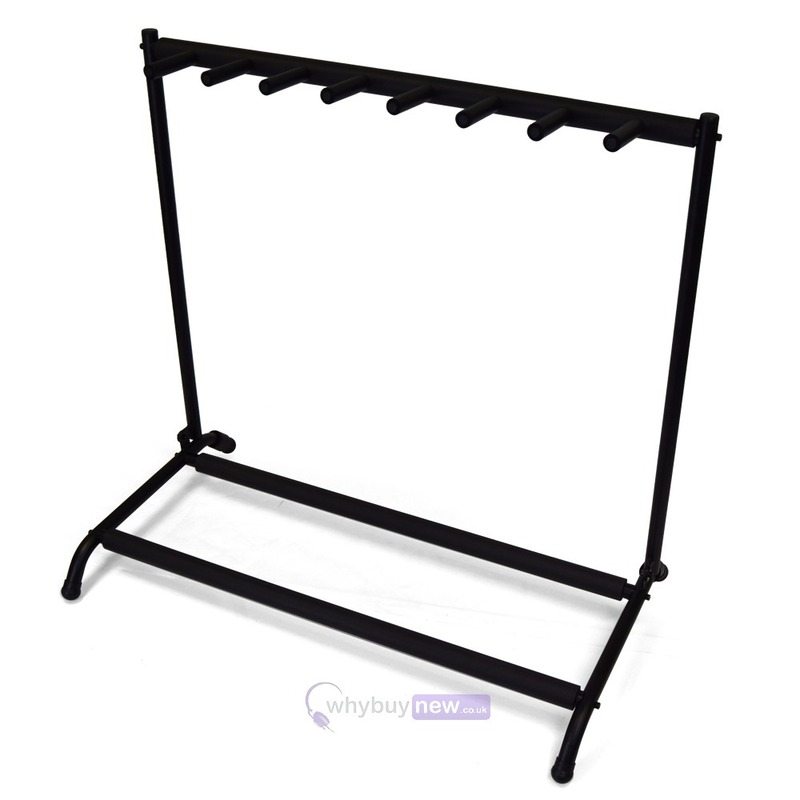 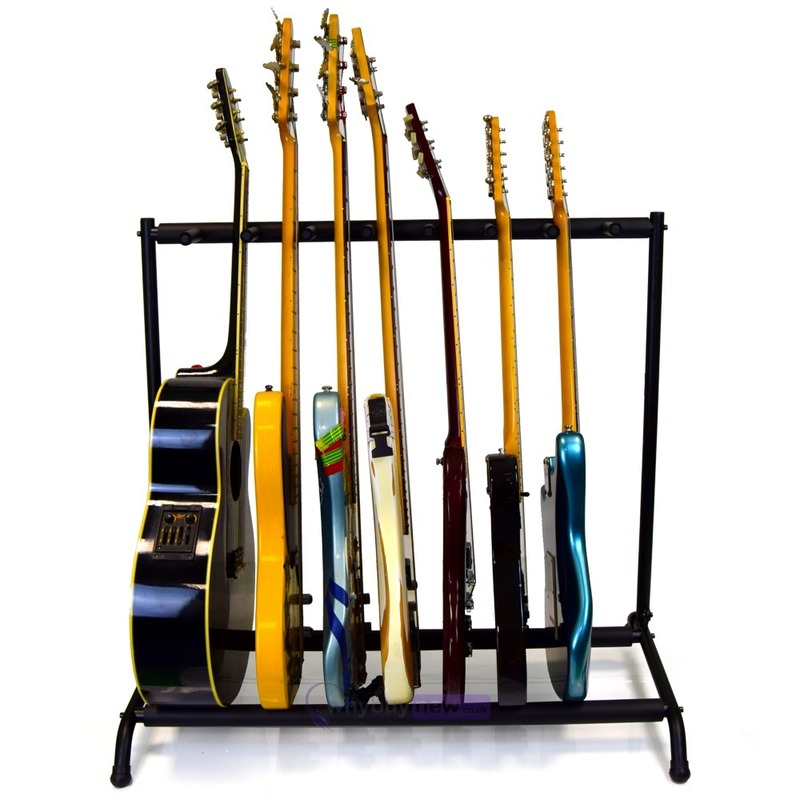 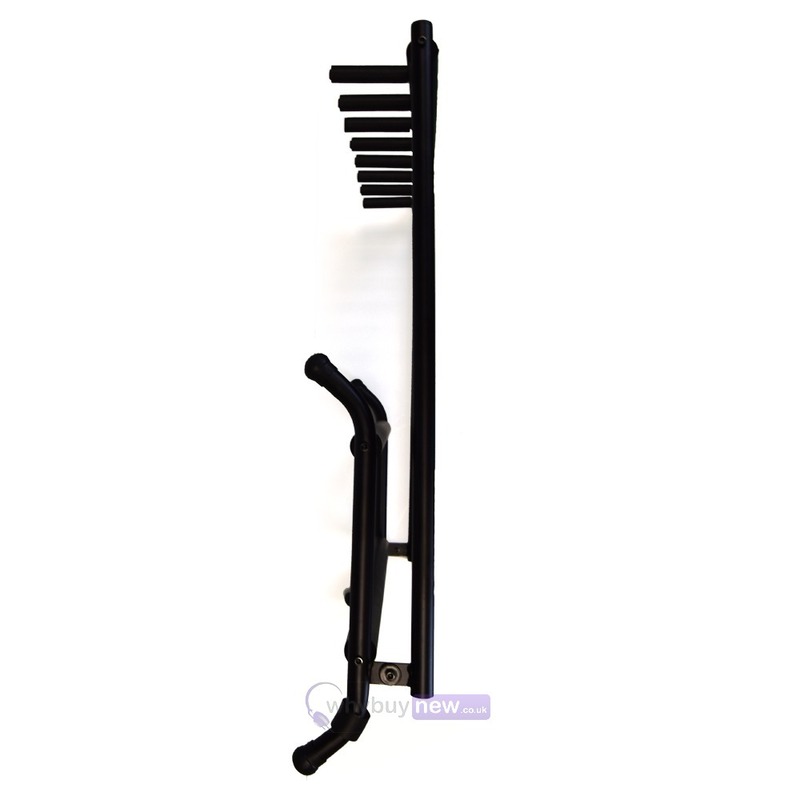 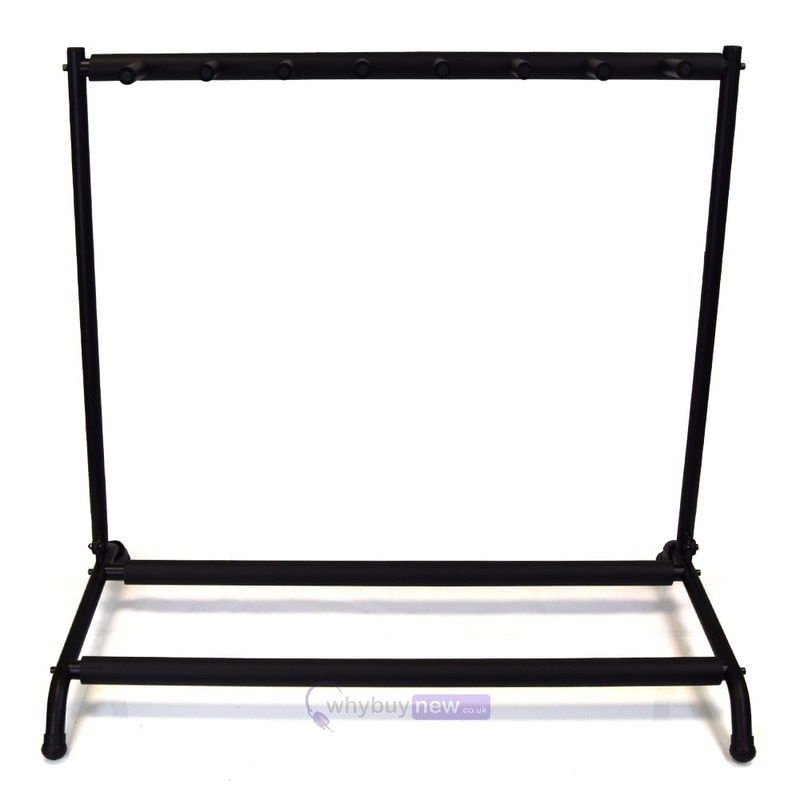 The Gorilla 7-Way Guitar Rack comes with protective foam covered supports, sturdy non-slip rubber feet and comes in a striking black finish!